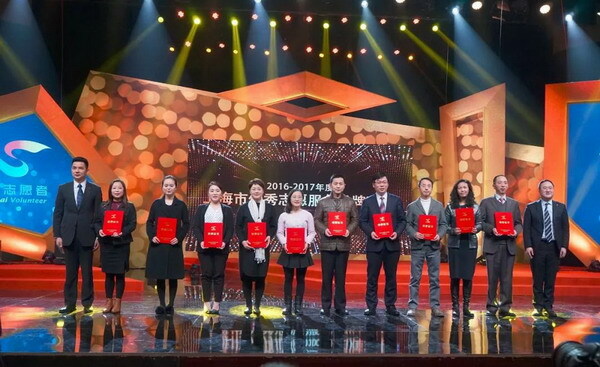 2016-2017 Shanghai Advanced Volunteer Service Awards Presentation Ceremony and the Second Shanghai Voluntary Service Network Cultural Festival Closing Ceremony was held on February 28 at the studio of the Shanghai broadcasting - television building. Ten Shanghai outstanding volunteers, ten Shanghai excellent volunteer service bases and ten Shanghai excellent voluntary service brand projects were commended. Shanghai Soong Ching Ling Foundation – Supporting Education China 2.0 won the excellent volunteer service brand project. 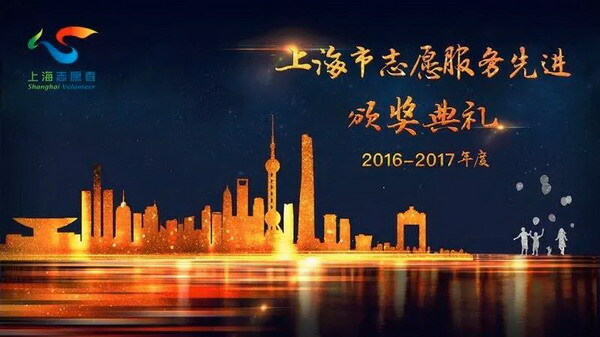 The award presentation ceremony was broadcast on Shanghai TV news channel on March 5. March 5, 2018 is the 55th anniversary of the inscription of "Learning from Comrade Lei Feng" written by Chairman Mao Zedong. Lei Feng is a forerunner of the volunteers, and the volunteers are Lei Feng’s successors. In Shanghai, a city full of friendship and warmth, "Lei Feng Spirit" and "volunteer culture" have become the beautiful scenery and brilliant brand of spiritual civilization construction in Shanghai. 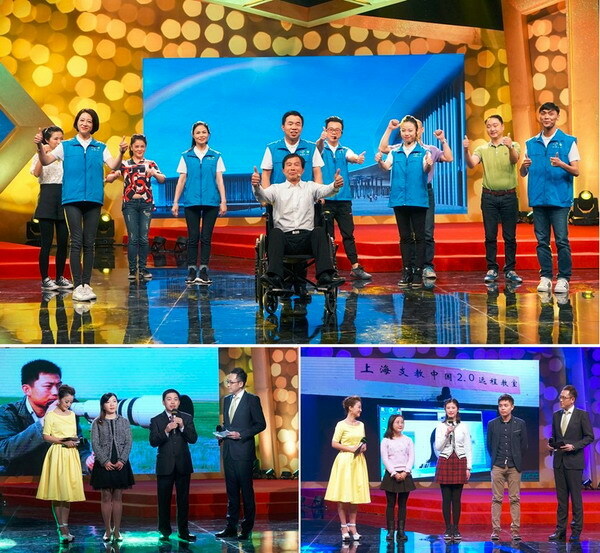 In order to further promote the development of voluntary service in Shanghai, show the volunteers’ style, and actively cultivate the volunteer culture with Shanghai characteristics, Shanghai civilized Office, Shanghai Volunteer Association, Shanghai Volunteer Service Foundation and Shanghai Radio and Television Station, Shanghai Public Welfare New Media Center jointly held the ceremony. At the scene of the ceremony, on behalf of award-winning projects, two volunteers from SSCLF- Supporting Education China 2.0 project showed the style of Shanghai volunteers through interviews and on-site connection.